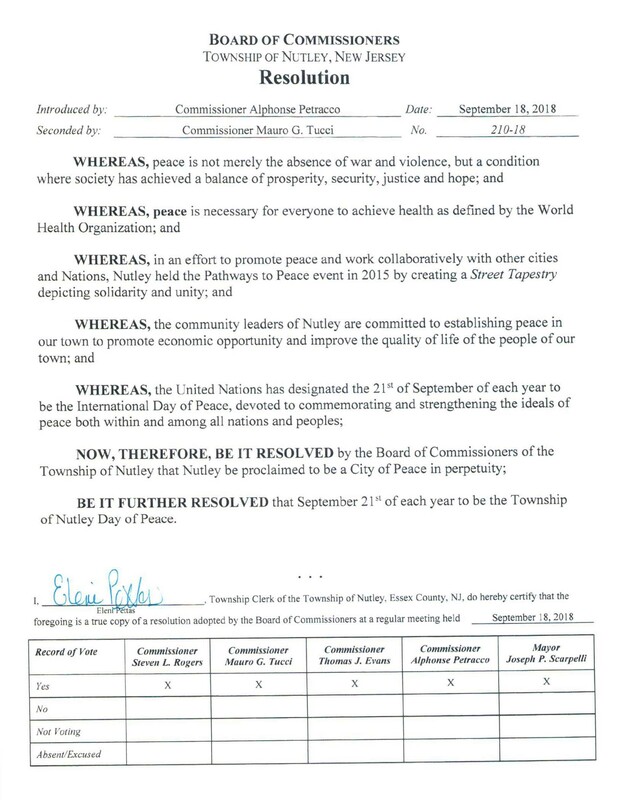 We welcome Sandra (Sam) Carella and the citizens of Nutley, New Jersey as our 223rd International City of Peace. 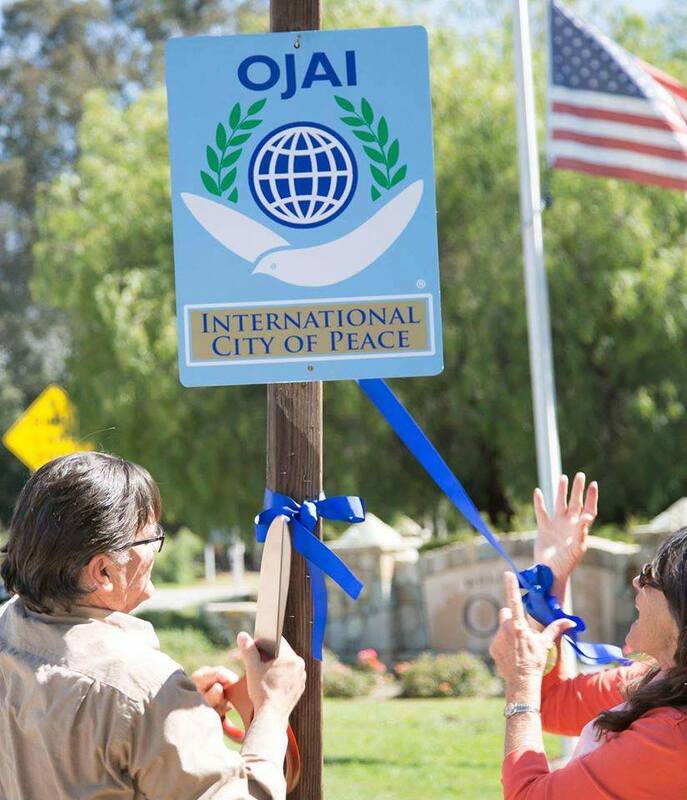 The town experienced an extraordinary peace building experience during the projects Carpeting the Town and the United Nations in Peace, which are documented in photos below and stories below. 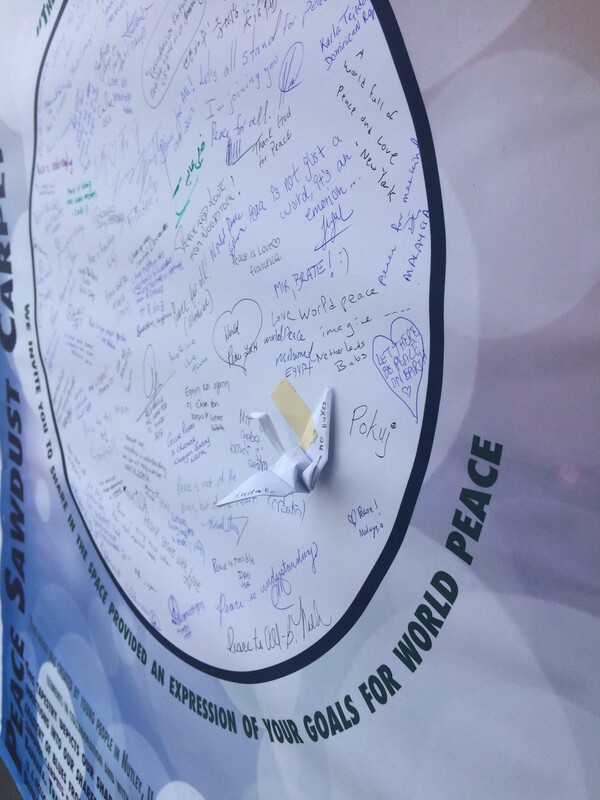 We inspire and promote the concept of peace through expression and example, to foster a caring and safer future for all. 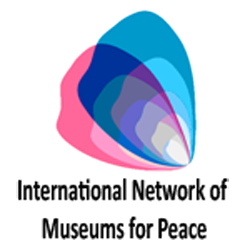 by cooperating and collaborating with all community sectors- civic, educational, religious, business and social; locally and beyond our borders. 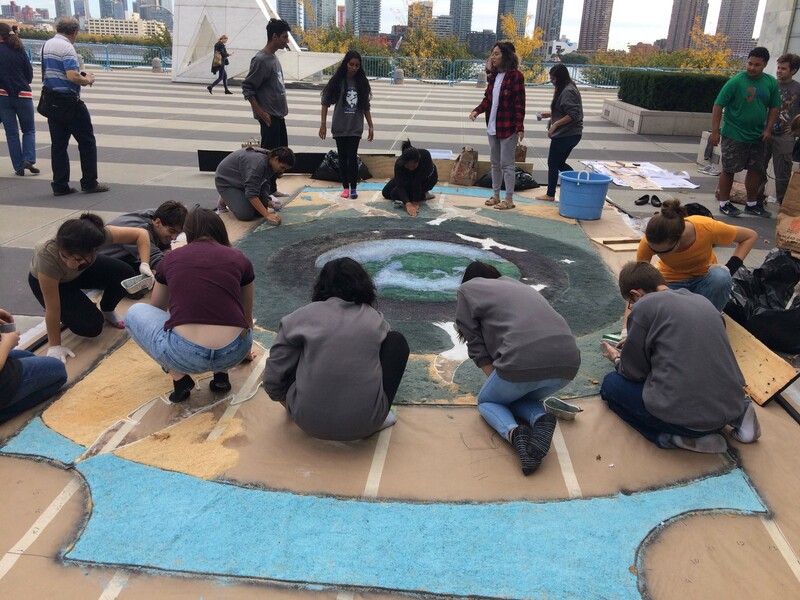 To engage the community sectors in defining peace, identifying necessary actions toward peace, and then networking with others to carry out those actions. 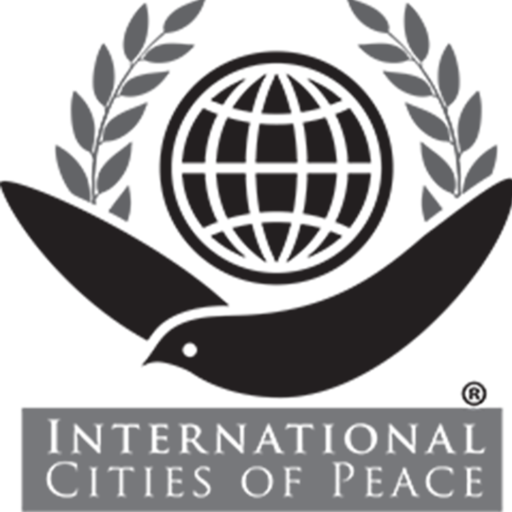 Encourage, honor, and connect peace advocates and organizations. 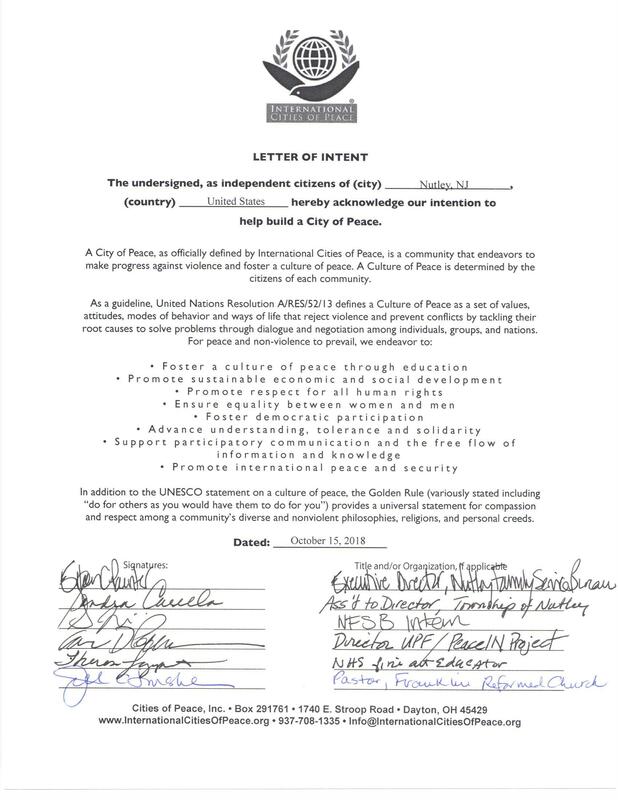 Network individuals, towns, and international Cities of Peace, especially with our potential sister city Tela, Honduras. 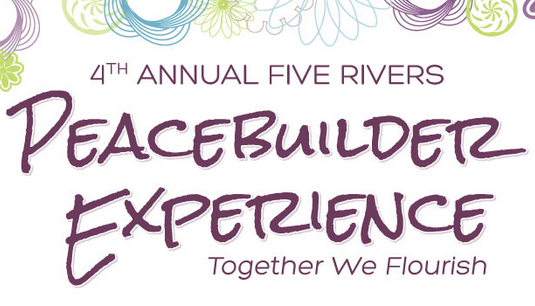 Through good practices, expand the dream of peace throughout the world. 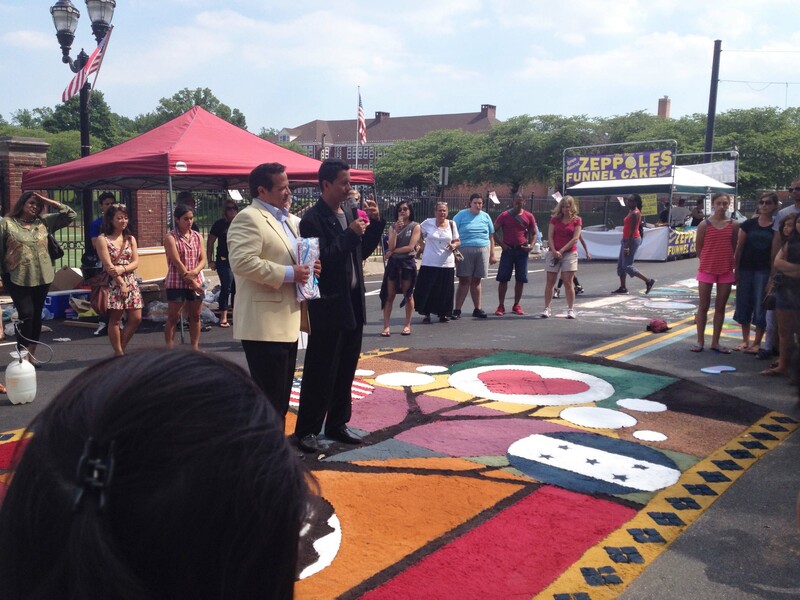 The creating of the sawdust carpet was the second such project in which Carol Pobanz, representing UPF/USA, and Mario Salinas, UPF/Honduras, worked together with the High School art department in Nutley, NJ. 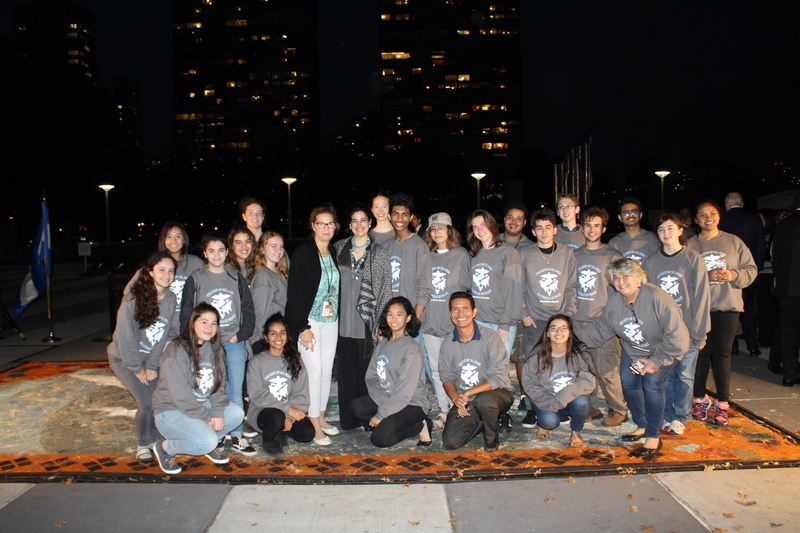 This time they also collaborated with the Honduran Embassy at the United Nations by special request of Honduran Ambassador Mary Elizabeth Flores Flake. 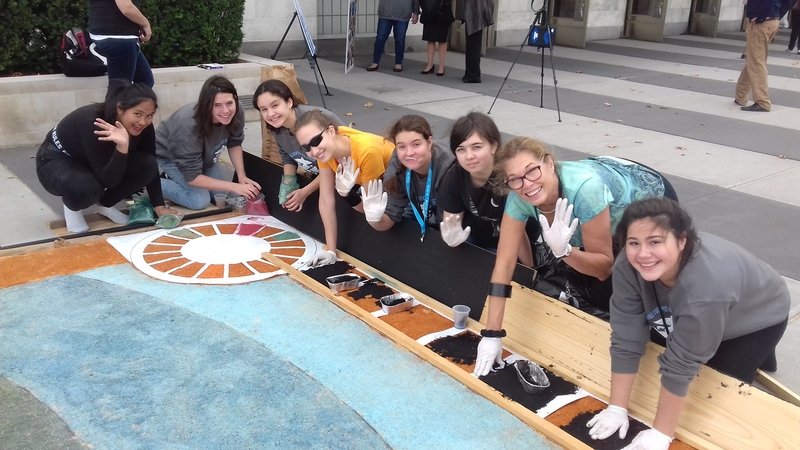 After settling on the design, sawdust was sifted, then dyed and dried. 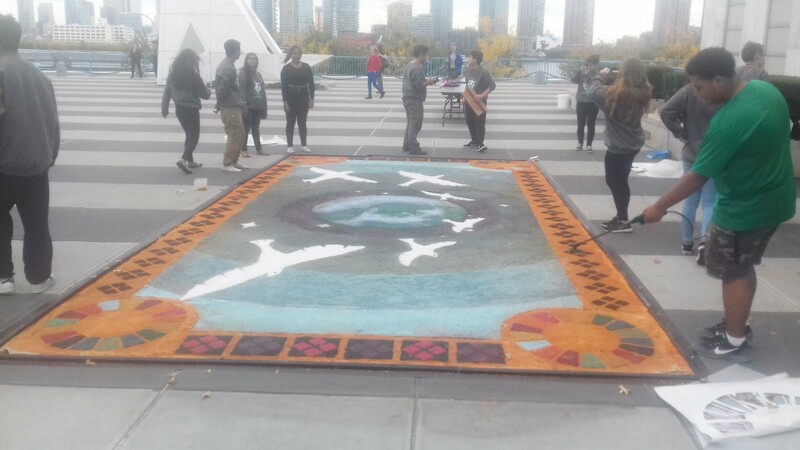 Also, an enlarged drawing was created to be used as a template for the carpet. 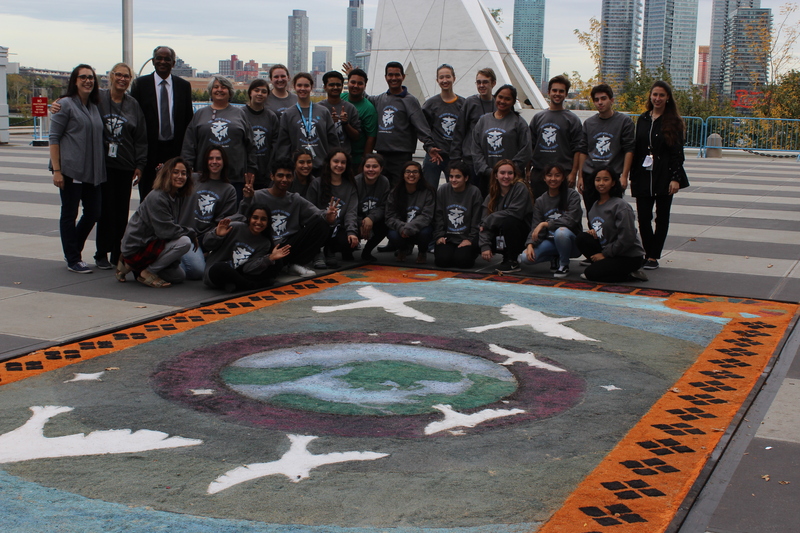 On October 23, the students journeyed to the United Nations where the Peace Carpet template was laid out and secured to the ground on the Plaza. Posters were propped up explaining the activity, i.e. the history of the carpets, and the process we went through to make the carpet. 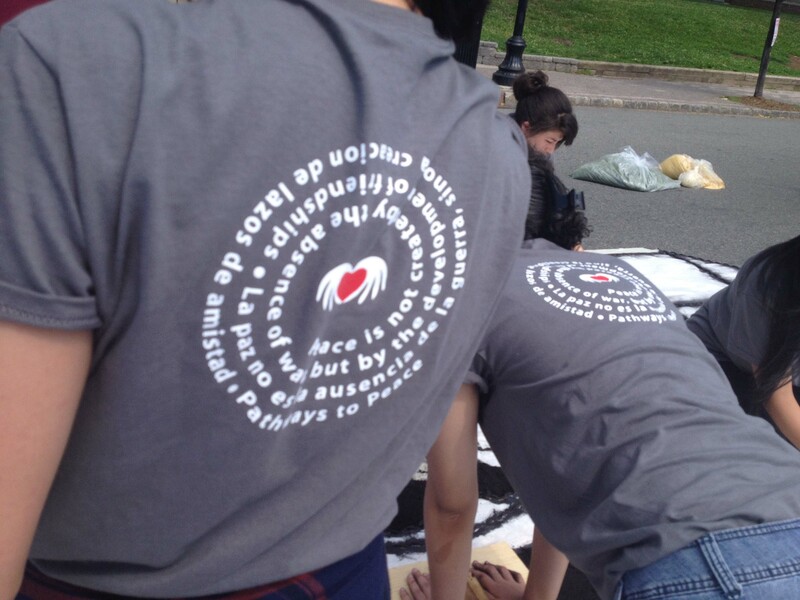 And one poster invited passersby to write a message of peace. 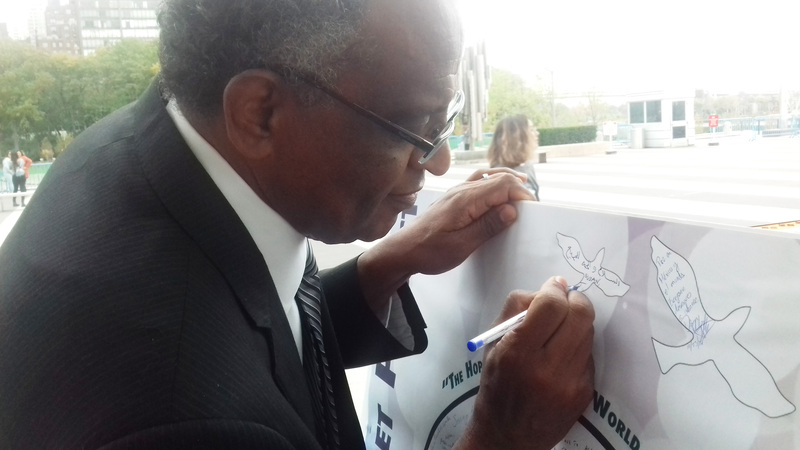 People stopped throughout the day to view the project, take photos and sign the poster. 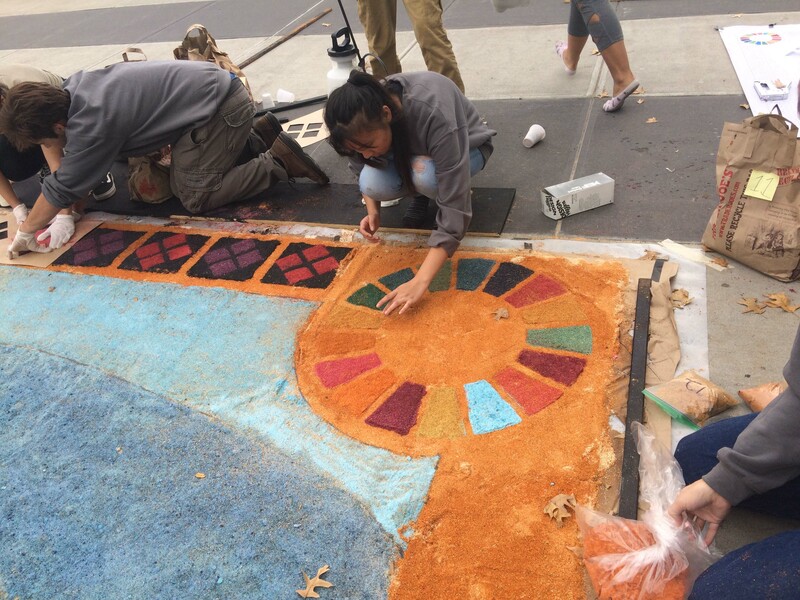 Finally, after many devoted hours of work, a beautiful carpet was crafted and dedicated by the Honduran Ambassador in celebration of United Nations Day and the 72nd Anniversary of the UN. Sandra (Sam) Carella was born in Philadelphia PA and grew up in South Jersey attending Holy Cross High School in Delran. She attended the College of New Rochelle and pursued a career in Advertising working on several prominent accounts, her favorite being Progresso Foods which was then based out of Rochelle Park. She met and married her husband Chuck during this period and lived in New Rochelle before moving to Nutley in 1985. She has two children, Christie and Chip and one grand-daughter, Amelia. 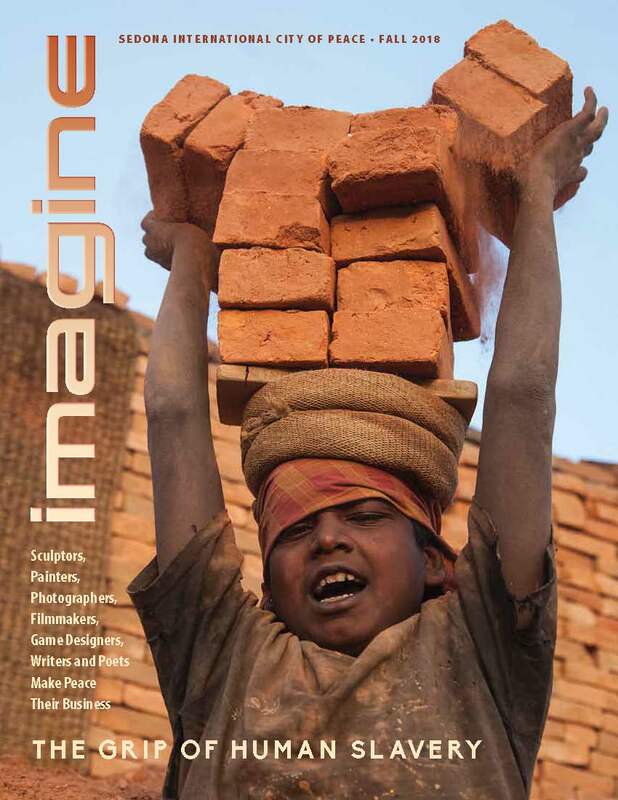 After having her children, Sam left the advertising industry and was a stay-at-home Mom for several years. She became actively involved in school interests including a few years as President of the Yantacaw School PTO, as Vice President for the PT Council as well as coaching her daughter’s softball team and cheering squads. She served as team mother for her son’s baseball, football and wrestling teams. 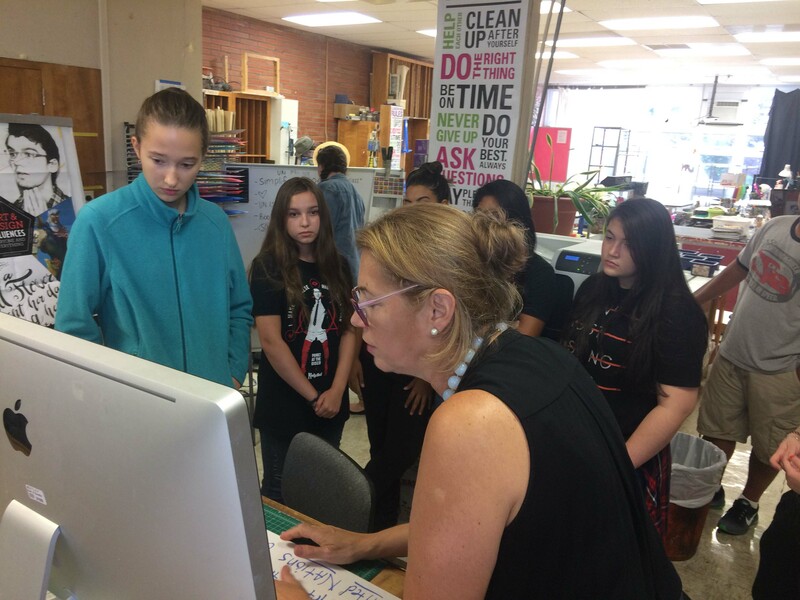 She chaired Project Graduation for Nutley High School. As the years went on, she joined Nutley Family Service Women’s Auxiliary and then later became a Trustee on the Nutley Family Service Bureau Executive Board. 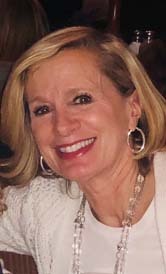 She currently serves on the Board of Trustees at the Nutley Senior Manor and is a member of H.O.P.E. 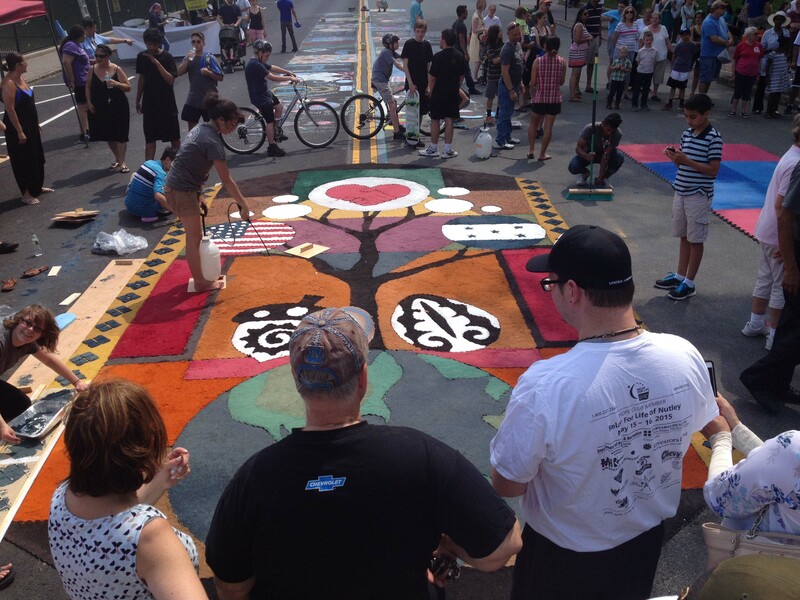 (Helping Our Parents Endure), the Nutley Municipal Alliance, Mattia Committee, the Nutley Hall of Fame Committee, and the Juvenile Conference Committee. Through these commitments she was fortunate to meet many wonderful co-workers, many of whom have become life-long friends. She is in her 18th year working in the Department of Public Safety as Assistant to Commissioner Alphonse Petracco. 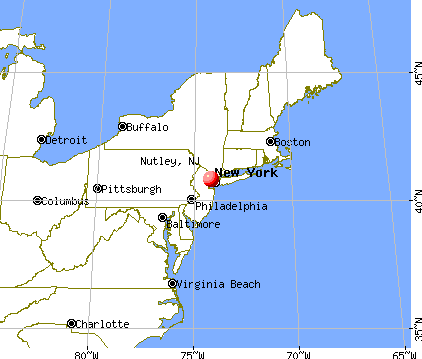 Nutley is a township in Essex County, New Jersey, United States. As of the 2010 United States Census, the township’s population was 28,370, reflecting an increase of 1,008 (+3.7%) from the 27,362 counted in the 2000 Census, which had in turn increased by 263 (+1.0%) from the 27,099 counted in the 1990 Census. What is now Nutley was originally incorporated as Franklin Township by an act of the New Jersey Legislature on February 18, 1874, from portions of Belleville Township. Nutley was incorporated as a Town on March 5, 1902, replacing Franklin Township. 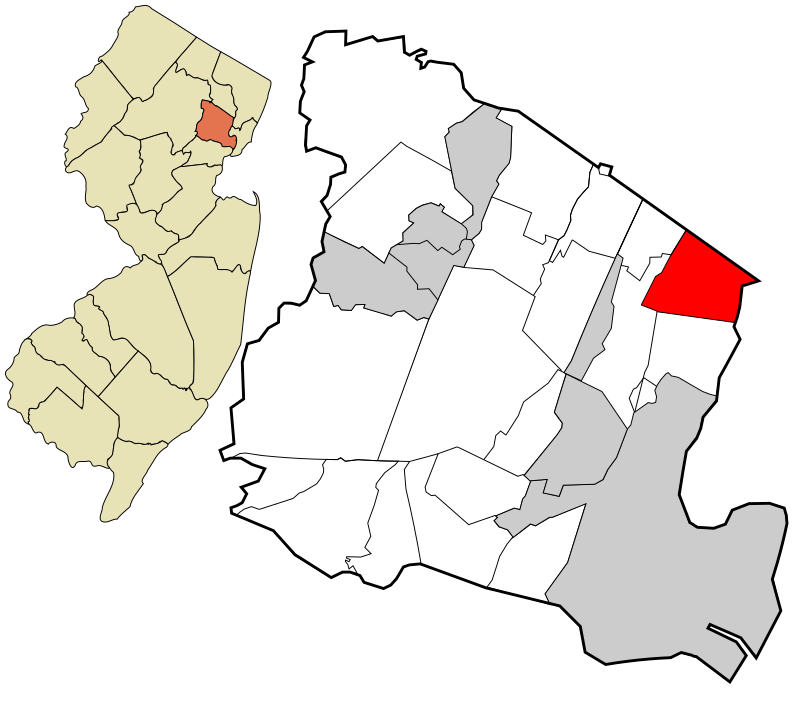 In 1981, the town was one of seven Essex County municipalities to pass a referendum to become a township, joining four municipalities that had already made the change, of what would ultimately be more than a dozen Essex County municipalities to reclassify themselves as townships in order take advantage of federal revenue sharing policies that allocated townships a greater share of government aid to municipalities on a per capita basis. Nutley derived its name from the estate of the Satterthwaite family, established in 1844, which stretched along the Passaic River and from an artist’s colony in the area. New Jersey Monthly magazine ranked Nutley as its 38th best place to live in its 2008 rankings of the “Best Places To Live” in New Jersey.